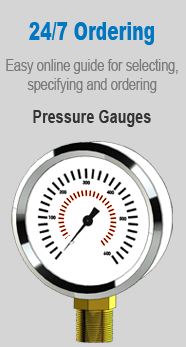 Commercial gauges are economical and often referred to as general purpose or equipment gauges. Though commercial gauges may be ruggedly constructed, the service conditions are not expected to be severe. Most commercial gauges are constructed with black ABS or painted steel cases with brass internal parts and connection.